"As a whole, the work is much along the lines of a symphony by Haydn or Mozart" and "provided Beethoven's point of departure", wrote F.X. Kirby in his overview of the musical structure of Beethoven's First Symphony. The end of this overview also provides our point of departure for our look at the creation history of Beethoven's Second Symphony. Many readers of our creation histories will already have noted that we have tried to incorporate relevant comments from Barry Cooper's Beethoven biography from the Master Musicians Series, published in the year 2000, and now we also updated this Creation History in this manner. Therefore, we should say farewell here to the previous format of this Creation History and proceed without delay, following Beethoven in his creation of this work by referring to Cooper. "The start of the nineteenth century saw Beethoven embarking on a new symphony in D major. He was evidently well pleased with the success of his benefit concert the previous April, and no doubt hoped to repeat the success in the coming April. His sketchbook for this period (Landsberg 7) reveals that he worked intensively on the first movement at this stage, more or less finishing it in outline, and he also jotted down a few possible ideas for later movements. Work on the symphony was, however, suddenly set aside in favour of an entirely new project, a ballet entitled Die Geschöpfe des Prometheus (The Creatures of Prometheus). There must have been some commission, and some guarantee of performance that spring, for Beethoven to set aside his symphony, but details are unfortunately lacking" (Cooper: 98). A look at the "ballet" section of our listings of Beethoven's works (which is based on Grove) confirms, at least, that this ballet premiered on March 28, 1801, in the Burgtheater in Vienna. "'My brother would have written to you himself, but he is not in the mod for anything, because the theatre director Baron von Braun, who is clearly an ignorant, rude man, did not allow him the theatre for a benefit concert and gave it over to other, utterly mediocre artists. '16 (Alb.38)" (Cooper: 112-113). What becomes clear here is that Beethoven's brother wrote this letter, and Cooper confirms that it was Caspar Carl van Beethoven who wrote it and that he, from about 1802 to 1806, had taken on the duties of Beethoven's private secretary. Through this creation history runs, like a read thread, also the underlying story of Beethoven's struggle for his artistic survival in the face of his increasing loss of hearing which became more pressing during the summer of 1801. With respect to this, we refer our readers to the relevant section of our Biographical Pages and to Beethoven's letters of June 1801 to Amenda and Wegeler and to his second letter of November 1801 to Wegeler. "During the winter of 1801 - 2 Beethoven resumed work on his Second Symphony, in anticipation of a benefit concert in the forthcoming Holy Week (11 - 17 April). Most of the sketches for the two middle movements are lost and must have been made on loose leaves, but the finale is fairly fully represented in the Kessler Sketchbook, which was in use from late 1801 to mid-1802" (Cooper: 112). According to Cooper, Beethoven had completed this symphony "more or less" in February, 1802, with the exeption of a few revisions and of an extension of the Coda for the final movement, which Beethoven, very likely, completed during the following months (Cooper: 112). 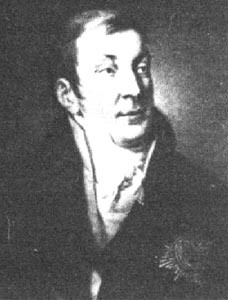 "As a product of late 1801, when the second despairing letter to Wegeler was dispatched, and middle 1802, which ended with the blackly despondent Heiligenstadt Testament, the Second Symphony is a perpetual reminder that external miseries are not to be equated with inner humours" (Kolodin: 140). "And yet in that retirement whence came a paper of such profound sadness was wrought out the Symphony in D . . . written in the scenes which gave inspiration to the divine 'Pastorale' of which its serene tranquility seems the precursor" (Thayer: 306). Cooper reports that after the completion of his sket of the Second Symphony, Beethoven turned to the completion of several smaller works (such as the Italian Trio for Soprano, Tenor, Bass and Orchestra, Tremate, empi, tremate, Op. 116, and a trio). Unfortunately, we can not determine the precise course of events with respect to the completion of his work on this symphony during his summer 1802 stay at Heiligenstadt, his writing there in October of that year of his Heiligenstadt Will and with respect to his return to Vienna. Those who want to recall this time in Beethoven's life from a strictly biographical point of view, may return to this section of our Biographical Pages. "From the outset, the D-major is clearly a work that faces two ways: to the past in its utilization of a slow introduction, which is, nevertheless, much bolder in its musical posture than the similar section of its predecessor, and to the future, in its broader, fuller, more ample sonorities. No longer the meager, twelve measures that had sufficed for the First Symphony, the introduction to the Second is a broad thirty bars in length, permitting Beethoven to visit neighboring tonalities, and some not so nearby, en route to the point of departure. Along the way he has the opportunity to indulge his fondness for the woodwinds, not only as a loyal opposition to the majority voice of the strings, but as a solid body of opinion not hitherto heard in a syphonic forum (the introduction to Mozart's E-flat Symphony, also slow, also wood-windy, may have been latent in Beethoven's thinking). Together these inclinations arouse the anticipations that a proper introduction should: of subject matter to come, and the means by which it will be expounded." "The first twelve measures of the Allegro bear out the anticipations. No longer inclined to the kind of tune Mozart could produce with such facility, or a motive such as Haydn devised with a careful sense of purpose, Beethoven is now motivated toward what Reti would call a cell-structure. Its characteristics, in the present instance, are a rhythmic-melodic entity in the low strings answered by a swirling future in the first violins, both destined for positions of prominence. Before a strongly contrasting idea is introduced, measure 60 provides a pendant to what has preceded, also vigorous, also assertive, and also much used in the parliamentary procedures that follow. With the second subject come strongly marked accents (sfs, for sforzando) and syncopations (offbeat emphasis). As well as varying the dynamic pattern that had preceded, it sets in motion a circular, churning figuration which eventually fulfills itself in the subterranean rumblings of the basses in the finale (measure 358). In pursuit of the extended orchestral range mentioned above, it should be noted that the bass line has much more mobility, takes a much more active part in the total interplay of sound, and adds considerably to its weight and substance. It is, indeed, in this symphony that the historic point of separation would be reached in which the bass and cello-companions on the lower end of the tonal structure for much of the eighteenth century-would part company, each to go its own way (see p. 145). As noted elsewhere, the finely formed line of the Larghetto is not only serenely beautiful in itself, but a source of inspiration for future purposes (2). When associated with the kind of increasingly personalized embellishment that accrued to Beethoven as he grew older, both the serenity and the beauty are elevated to an even higher rank on the scale of expressivity associated with the Ninth Symphony. The sense of a work which looks both ways, in time, is heightened by the tempo and character of the third movement. Now the view is straight ahead. Gone is such a temporizing designation as Menuetto to cloak an incipient Scherzo. This is a Scherzo in name as well as in fact, saturated with the juices of Beethoven's own explosive humor to an inflammable mixture. Any spark of interpretative life induces a rocketing lift that reminds us where the symphonic Scherzo had its first flight. In the finale, Beethoven ranges wider and digresses further forward in symphonic time than in any prior movement. Indeed, it came to establish something of a pattern for symphonic finales to follow and may be related to (a) an impulse to vary the harmonic norms explored in preceding movements; (b) a desire to carry the listener into other harmonic involvements; (c) a mere surfeit with conformity. Among its epoch-making formulations is the final separation of the double bass from its traditional partnership with the cello and the assignment to it of a function of its own. The impulse first shows itself as early as measure 5 of the Allegro molto, in which it occurs to Beethoven to write a countermelody against the main line in the first violins. It is initially in an ideal register for the violas, but they lack the power to be heard by themselves. The cellos are then called upon to supplement their effort. This carries the countermelody out of any comfortable range for the string bass. Faced with the option of abandoning the countermelody or the traditional partnership of basses and cellos, Beethoven hesitates not at all. Musical sense prevails, and the cellos sing out, as the basses are put at the bottom of the tonal structure, there to perform as only they can. After this overview, we might be ready to listen to a recording of this work on CD, but perhaps also here to the midi files provided via this link: The "Beethoven Connection" of Midi World . 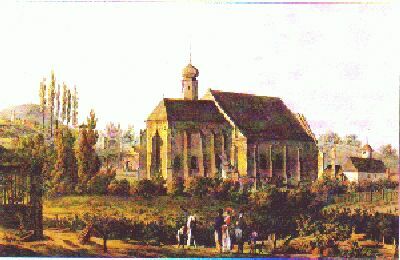 As is already mentioned in the section on the further fate of Beethoven's First Symphony during his life time in the previous creation history, Beethoven had been engaged as theatre composer by the Theater an der Wien, in the beginning of 1803 and with this appointment also obtained the advantage of having this theatre at his disposal for a benefit concert. Since at this benefit concert of April 5, 1803, Beethoven's First Symphony was performed again, as well, we already had an opportunity to discuss it. Therefore, we already know that, as Cooper reports (Cooper: 124), all works that were performed in this concert were Beethoven's works, namely his First Symphony, his Third Piano Concerto, his Oratorio Christ on the Mount of Olives and his Second Symphony. With the exeception of the First Symphony, all other works were performed for the first time. According to Cooper, Beethoven had also planned the performance of additional works; however, there was not enough time for that. On the 5th (not the 4th) of April, Herr Ludwig van Beethoven will produce a new oratorio set to music by him, Christus am Ölberg, in the R.I. privil. Theater-an-der-Wien. The other pieces to be performed will be announced on the large bill-board" (Thayer: 328). Cooper reports that the 5th of April was a long day for Beethoven, with his pupil Ferdinand Ries, according to his own words, visiting him as early as at five o'clock in the morning, finding him still in bed, where he, however, was already working on the trombone score for his Oratorio. 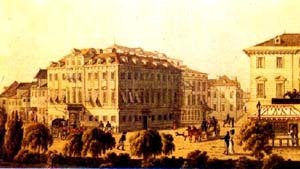 The rehearsal is reported as having begun as early as at eight o'clock in the morning, in Prince Lichnowsky's (the dedicatee of this work) Vienna lodgings and is supposed to have lasted until 2:30 in the afternoon, when all participants were exhausted and refreshed by a cold meal that was provided by Prince Lichnowsky. After that break, the oratorio was rehearsed, once more, before everyone proceeded to the theatre where the concert would begin at 6 o'clock in the evening. "In the playing of the concert movements he asked me to turn the pages for him; but-heaven help me!-that was easier said than done. I saw almost nothing but empty leaves; at the most on one page or the other a few Egyptian hieroglyphs wholly unintelligible to me scribbled down to serve as clues for him; for he played nearly all of the solo part from memory, since, as was so often the case, he had not had time to put it all down on paper (8). He gave me a secret glance whenever he was at the end of one of the invisible passages and my scarcely concealable anxiety not to miss the decisive moment amused him greatly and he laughed heartily at the jovial supper which we ate afterwards" (Thayer: 329-330).
" . . . the first symphony is better than the latter one [in D} because it is developed with a lightness and is less forced, while in the second the striving for the new and surprising is already more apparent. However, it is obvious that both are not lacking in surprising and brilliant passages of beauty. . . ." (Thayer: 330). Both Thayer (Thayer: 362) and Cooper (Cooper: 139) confirm that this work was published by the Kunst- und Industrie-Comptoir in Vienna, in 1804. According to Cooper's report, the Second Symphony (very likely together with a revised version of the Oratorio Christ on the Mount of Olives) was performed again on March 27, 1804, shortly after its publication by the Bureau (the Kunst- und Industrie-Comptoir). "Dieser Autor, oft bizarr und barock, lässt doch zeitweise außerordentliche Schönheiten aufblitzen. Bald nimmt er den majestätischen Flug des Adlers, bald kriecht er auf steinigen Fußpfaden. Kaum hat er die Seele mit süßer Melancholie durchdrungen, so zerreißt er sie wieder mit barbarischen Akkorden. Er scheint mir Tauben und Krokodile zugleich in sich einzuschließen" (From Hans-Güther Klein's report in the Deutsche Grammophon edition of the complete Beethoven Symphonies, page 12. "This author, often bizarre and baroque, lets beauties shine, here and there. Here, he takes on the majestic flight of the eagle, there, he crawls along on stony footpaths. Hardly has he filled the soul with sweet melancholy, he tears it apart with barbaric chords. To me, he appears to hold pigeons and crocodiles alike, within himself "). "Keiner Gesellschaft von Musikern und Freunden der Kunst kann es gleichgültig seyn, dass endlich auch eine zweyte Sinfonie von Beethoven so eben erschienen ist. (Gestochen in Wien, im Kunst- und Industrie-Comtoir.) Sie ist ein merkwürdiges, kolossales Werk, von einer Tiefe, Kraft, und Kunstgelehrsamkeit, wie sehr wenige -; von einer Schwierigkeit in Absicht auf Ausführung, sowol durch den Komponisten, als durch ein grosses Orchester, (das sie freylich verlangt), wie ganz gewiss keine von allen jemals bekannt gemachten Sinfonieen. Sie will, selbst von dem geschicktesten Orchester wieder und immer wieder gespielt seyn, bis sich die bewundernswürdige Summe origineller und zuweilen höchst seltsam gruppirter Ideen enge genug verbindet, abrundet, und nun als grosse Einheit hervorgehet, wie sie dem Geiste des Komponisten vorgeschwebt hat; sie will aber auch wieder und immer wieder gehört seyn, ehe der Zuhörer, selbst der gebildete, im Stande ist, das Einzelne im Ganzen und das Ganze im Einzelnen überall zu verfolgen und mit nöthiger Ruhe in der Begeisterung zu geniessen - zu geschweigen, dass sich auch jeder an so ganz Eigenthümliches, als hier fast alles ist, doch erst ein wenig gewöhnen muss. Wir sagen das nicht nur Andern, sondern auch uns selbst, und gehen darum jetzt noch eben so wenig in ein bestimmteres Urtheil ein, als wir darüber ein Aufheben machen, dass diese erste Aufführung, zu welcher nur Eine kurze Probe möglich war, nicht ganz gelang. Dies Werk allen Orchestern von Sinn, Geschicklichkeit und ausdauerndem Fleis, und allen Zuhörern, denen Musik mehr ist, als zeitkürzendes Amüsement, zu empfehlen, wird hoffentlich nicht nöthig seyn." -- "No company of musicians and of friends of the arts can remain impartial to the fact that finally, the Second Symphony by Beethoven has been published. (Etched in Veinna, at the Kunst- und Industrie-Comtoir.) It is a peculiar, collosal work, of a depth, force and learnedness as few -; of a difficulty of intent and execution, both on the part of the composer as on the part of a large orchestra (which it, of course, calls for), as certainly none of any symphonies composed heretofore. Even by the most skilled orchestra, it has to be played again and again, until the admirable sum of original and, in part, most peculiarly grouped ideas are well connected enough, rounded off, and emerge as a large unit, which the composer mind have had in his mind; however, it should also be herd again and again, before the listener, even the sophisticated one, will be able to trace each detail as part of the unit and until he will be able to enjoy it with enthusiasm, yet also calmly. One should not fail to mention that everyone will take time to get used to something as unique as this work. "Deuzieme grande Sinfonie de Louis van Beethoven, arrangee en Trio pour Pianof., Viol. et Violonc. par l'Auteur meme. A Vienne au Bureau des art et d'industrie. Beethovens mit Recht berühmte Sinfonie aus D., über welche auch in diesen Blättern öfters gründlich gesprochen worden ist, erscheint hier im Auszuge -- wir dürfen wol voraussetzen, für die, die das s e h r schwierige Werk nicht vollständig hören, oder unter der Menge künstlich verflochtener Gedanken, vielleicht auch unter dem allzuhäufigen Gebrauch der schreyendsten Indstrumente, es nicht genug verstehen können, oder endlich für die, die sich in der Erinnerung dem Genuss der vollständigen Ausführung wiederholen, und was ihnen dort nicht ganz klar oder vorzüglich lieb geworden, ruhiger überschauen und vernehmen wollen. Dieser Auszug ist also in vielem Betracht mit Dank anzunehmen, so sehr man -- und im Ganzen gewiss mit vollkommenem Grunde -- gegen das Arrangiren s o l c h e r Werke überhaupt seyn mag. Rec., der die Sinfonie öfters vollständig gehört, aber freylich nicht in Rücksicht auf einen Auszug erwogen hat, hätte kaum geglaubt, dass davon ein so genügender und zugleich für alle drey Instrumente so gut eingerichteter, gegeben werden könne. als hier, den Hauptsachen nach, wirklich gegeben ist. Man erhält in der That ein nicht unwürdiges und möglichst vollständiges Bild vom Ganzen; bey einzelnen Theilen war dies zu geben aber unmöglich -- so verliert z.B. das schöne Andante sehr vieles, da ihm die meisterhafte Vertheilung in die verschiedenen, da ihm besonders die E n t g e g e n s e t z u n g der Saiten- und Blasinstrumente fehlt, und mehrere Stellen, wo der Komponist unmittelbar die Reize oder besondere Bahndlungsweise gewisser Instrumente zu schöner Wirkung beabsichtigte, müssen hier ziemlich gleichgültig lassen. Man vergleiche hierüber z.B. S. 15, Syst. 4. folg., S. 14. die zwey letzten Syst. und die Folge, S. 16. die drey ersten Syst., und wo diese Stellen wiederkommen; ja auch das ganze, originelle Scherzando könnte als Beleg angeführt werden, obschon es auch hier noch immer ein interessantes Stück bleibt. Der letzte Satz, in seiner tumularischen, wilden Abentehuerlichkeit, konnte nicht so genügend eingerichtet werden; auch ist er, obgleich es auf den ersten Anblick nicht so scheint, s e h r schwer zu spielen, so dass man ihn auch in dieser Form nur selten vollkommen ausgeführt hören wird. Rec. findet ihn auch in dieser Gestalt als bey weitem den geringsten. -- Das Werk ist, seinem innern Werthe gemäss, schön, und auch fast ganz fehlerfrey gestochen. Es sey aber Rec. erlaubt, hier noch etwas, nicht zunächst hieher Gehörige, anzuhängen. Beethoven hat schon vor zwey Jahren eine dritte grosse Sinfonie geschrieben, ohngefähr in demselben stil, wie diese zweyte, aber n o c h reicher an Ideen und kunstvoller Ausführung, freylich auch noch breiter, tiefer und länger gehalten, so dass sie eine Stunde spielt. Das ist nur zwar gewiss übertrieben; denn alles muss doch seine Grenzen haben, und wenn das wahre, grosse Genie fordern darf, dass ihm die Kritik diese Grenzen nicht nach Willkür oder Herkommen abstecke, so muss es doch auch d i e respektieren, die durch die Fassungs- und Genusses - Fähigkeit -- nicht dieses oder jenes Publikum s, sondern des Menschen überhaupt, ihm angewiesen werden. Und zwar hat diese Grenzen der Musiker noch mehr, als etwa der Maler oder Dichter -- am allermeisten aber, der Instrumentalkomponist zu berücksichtigen, weil ihm alle Vortheile von Hülfskünsten und Nebenreizen abgehen; auch er nicht, wie der Dichter allenfalls, sagen kann: so führt meinen -- Wallenstein in seinen eilf Akten in dreyen Taen, oder auch gar nicht auf, sondern leset ihn blos! Gleichwol ist jenes Werk einmal so geschaffen, und ist gewiss -- (alle Stimmen der Kenner, die Rec. vernommen, sind darin einig, wenn auch nicht die Korrespondenten gewisser Flugblättchen!) es ist gewiss, sag' ich, eins der originellsten, erhabensten und tiefsten Produkte, das diese ganze Gattung der Musik aufzuweisen hat. Wäre es denn nun nicht eine wahre Schande, wenn es vielleicht aus Mangel an Unterstützung oder Zutrauen eines Verlegers im Dunkel bleiben und der Welt nicht mitgetheilt werden sollte? Es hat zwar schon seit geraumer Zeit geheissen, es komme in Wien heraus; aber bis jetzt hat man noch nichts davon gesehen. Rec. wollte durch diese granze Apostrophe nichts, als ein wenig aufstören, rütteln, anregen! -- " (AMZ [Oktober] 1806: 8 - 11). -- Beethoven's rightfully famous Symphony in D Major, which has also been discussed in detail in this publication, has been published as a reduction--we may assume that it is for all of those who were not able to hear this v e r y difficult work in its entirety, or for those who were not able to discern all intertwined ideas, perhaps also due to the all too frequent use of the loudest instruments, or finally for those who, want to recall the enjoyment of the complete performance of this work with it, and what did not become quite clear to them yet or what they did not take a complete liking to, yet, they might consider more calmly now. Thus, this reduction is, in many ways, to be accepted with gratitude, as much as one--and, in general, certainly with complete justification--might be against the arrangement of s u c h works, at all. Rev., who has heard the complete symphony several times, but who has, of course, not considered it in light of a possible reduction or arrangement, would hardly have believed that of this work, such a satisfactory and also well-arranged reduction for all three instruments as this could be produced. Indeed, one receives a not unworthy and as complete as possible impression of the whole; however, in certain parts, it was impossible to achieve this--thus, for example, the beautiful Andante loses a great deal, since the masterful arrangement for all instruments, particularly the c o n t r a s t between string instruments and wind instruments is missing, and several passages, in which the composer wanted to express particular beauties through the expressive means of particular instruments, rather have to remain indifferent, here. One should, for example, compare p. 15, syst. 4 ff., on p. 14 the two last syst. ff., p. 16 the first three syst., and where the passages are repeated; yes, also the entire, original Scherzando could be listed as proof, although even here, it remains an interesting piece. The last movement, in its tumultuous, wild adventurousness, could not be arranged satisfactorily enough; moreover, it is, although it does not appear so, at first sight, v e r y difficult to play, so that one will also not hear it executed perfectly in this form, very often. Also in this form, the Rev. finds this movement the least excellent one. -- The work is, accoring to its inner worth, etched beautifully, and almost error-free. Allgemeine Musikalische Zeitung Leipzig bey Breitkopf und Härtel. Reprint AMSTERDAM. N. Israel - Frits A. M. Knuf. MCMLXIV. Cooper, Barry. Beethoven. The Master Musicians. New York: 2000. Oxford University Press. Thayer's Life of Beethoven. Revised and Edited by Elliot Forbes. Princeton, New Jersey: 1967. Princeton University Press.